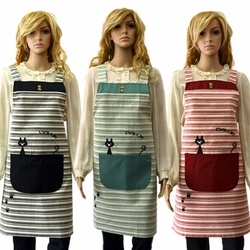 This waitress apron is just adorable and will fit in a cozy coffee shop, family diner and hole in the wall restaurants and bistros. 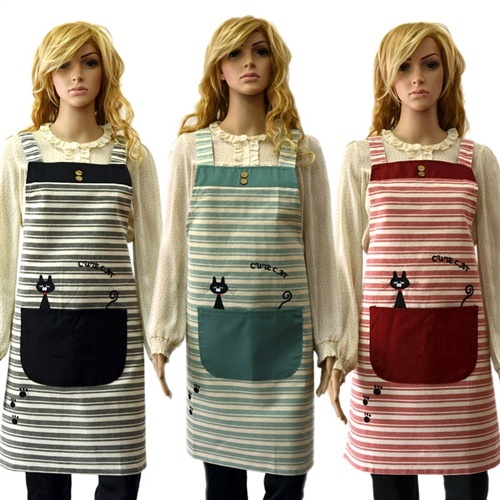 This apron features a black cat in a pot pocket to hold your tips and stuff and whether you are just getting started in the waiting industry or a veteran waitress, you will so enjoy wearing this apron. One size only. 100% Cotton.